Austria. 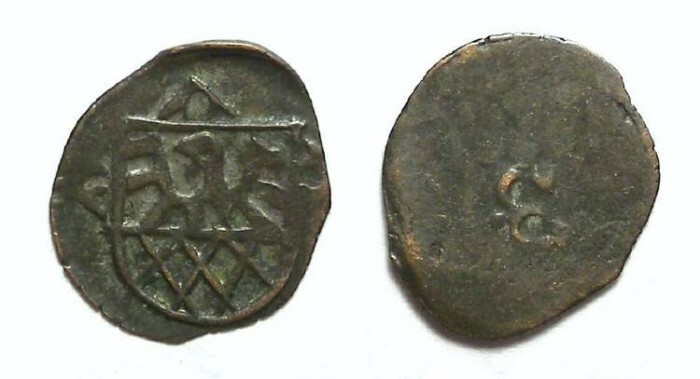 Eger city coinage. 15th century. Billon pfennig. Denomination : Billon Pfennig. Mint : Eger. Size : 11.1 x 12.8 mm. Weight : 0.24 grams. Reference : Saurma-622. Doneb-425 variety. Grade : VF with minor weakness. Reverse : Just the single letter E.